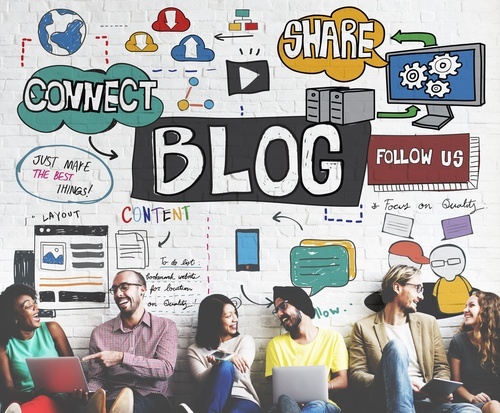 If you’re in the early stages of developing a blog for your nonprofit or you’d like to fine-tune your existing blog, consider these 4 simple strategies to improve your nonprofit blog traffic. Write for your primary audience(s): Whether you’re giving a speech, teaching a course, or writing a blog post, it’s always easier to address an audience when you have a clear understanding of who they are and what they want. As you plan your blog content, it’s important to identify the audience you want to reach and tailor your content to meet their needs. If you haven't created audience personas for your nonprofit, I strongly suggest applying this fundamental step before writing your next post. Consider yourself a publisher: Get into the mindset of a publisher. Why? Because that’s what you have become. As someone who plans, creates, schedules, distributes, and promotes content, many of your responsibilities reflect those of a traditional media publisher. What distinguishes your role from a traditional media publisher is that you function entirely in support of your nonprofit to promote cause awareness and provide relevant content that adds value and speaks to the unique set of challenges faced by your constituents. Prioritize SEO and keywords: Assuming lead generation is high on the list of goals for your nonprofit, you’ll want to prioritize SEO and keyword research as part of your blog strategy. Start by making a short list of relevant keywords and phrases your audience personas might be searching for online. As you plan your editorial calendar, select the blog topics that relate to the keywords and phrases you’d like to rank for in search engines. Higher rankings will increase your website traffic (assuming your blog is hosted on your website), as well as help your audience discover your blog content. Promote your blog content: With literally thousands of blogs vying for attention on the web, you’re going to have to put in some work to drive traffic to your blog and ensure that your audience finds your content. Your blog’s success will largely depend on your ability to distribute it across the channels and platforms where your audience likes to hang out. Be sure to include social sharing buttons to make it easy for your readers to share your post with their network. You also want to optimize messages for each of your social media platforms with links to your blog post. Email offers another opportunity to bring more exposure to your blog. Segment your contact database to ensure you’re emailing your content links to the exact audience you want to reach. And there’s absolutely nothing wrong with asking for a little help from time to time. Leverage your cause influencers to help bring even more visibility to your blog. As long as you’re publishing great content, they’ll be happy to share it.